As you can already tell, I'm a serial outfit repeater. I don't really mind as I get to be creative in coming up with ideas of bringing new life into my clothes. One of my favourite ways of updating my most worn wardrobe pieces is by pairing them with a garment that's the complete opposite. I love playing with different textures, mixing contrasting fabrics and experimenting with various styles. Think feminine dresses topped with leather biker jackets, frilly chiffon blouses teamed with distressed boyfriend jeans, and a casual t-shirt and denim combo elevated with 4-inch pumps. 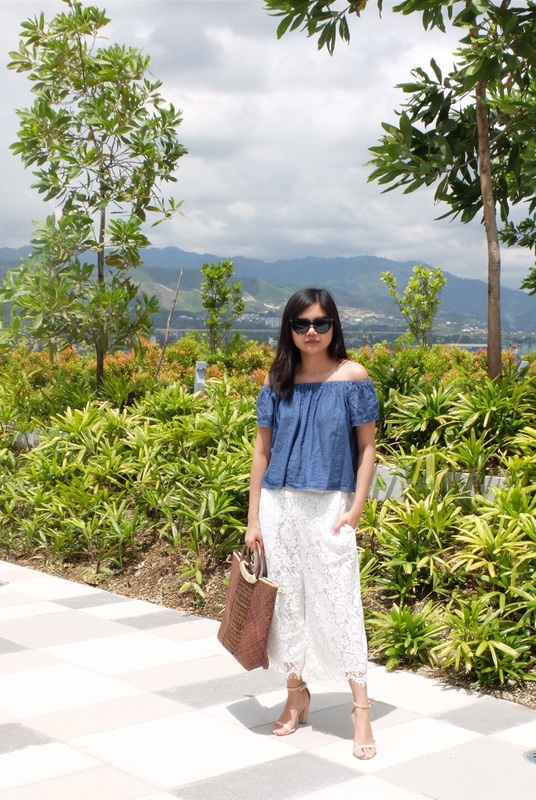 Another example is this off-shoulder denim top, which I've worn countless of times. For this look, I put a fresh new take into it by matching it with a softer and more ladylike bottom. 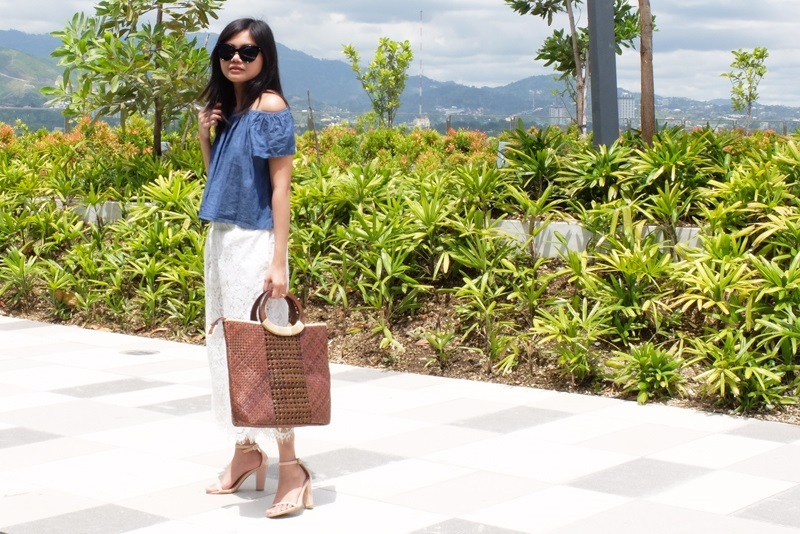 This denim top and lace culotte pairing is comfortable and perfect for this insane summer heat we're currently experiencing.